The police aren’t 100% sure yet, but it sounds like the vehicle that hit me was stolen. The driver fled on foot two blocks from the accident scene, so I’d be surprised if he’s found. 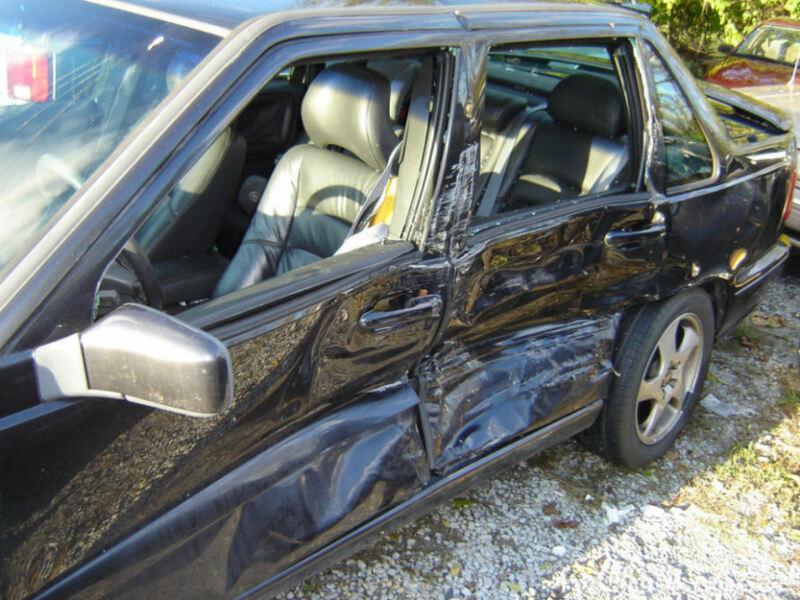 Here are a couple of pictures of my car – can’t believe I escaped without injury, and that Isaac wasn’t hurt far worse by all the broken glass. I got hit on the driver’s side like that once before and also walked away unharmed. I even did a painting of the resulting damage (http://flickr.com/photos/thraxil/27387448/in/set-620090/). In my case, the car that hit me was going over 60mph and I only survived because it hit a little further back (and damn near tore the back end of the car off). It’s amazing how life or death are really just a split second or a few inches apart. It’s an event most worthy of celebration when the universe tries to kill you and fails. Man, I say put CSI Grissom and the gang on it. Pick up some epithelials, run a DNA check, bag that MFer. Glad you two are okay. Nick, I”m so glad you and your son are ok. After I was in a car crash, it took some time to get over the occasional rush of fear when something similar but undangerous happened on the road. It did go away, though. Wow! Glad everyone is well. Here’s to Volvo (I drive one, too) and SIPS. …and then pecks his eyes out. Looks like a Volvo 850. I drive the same car except mine is red. Sorry you were hit, man, but a good thing you were in your Volvo when it happened. I’m so happy nothing worse happened, it’s scary to think of what might have happened. I once had an accident with my baby girl in the car (she was only 2 months old maybe less), it was nothing serious really, a guy from behind at minimum speed (after a full stop behind us, he just started going forward, expecting us to go as well – we didn’t). Don’t want to ever go through that again! I still get the shivers from passing that intersection. Give your son a big hug! 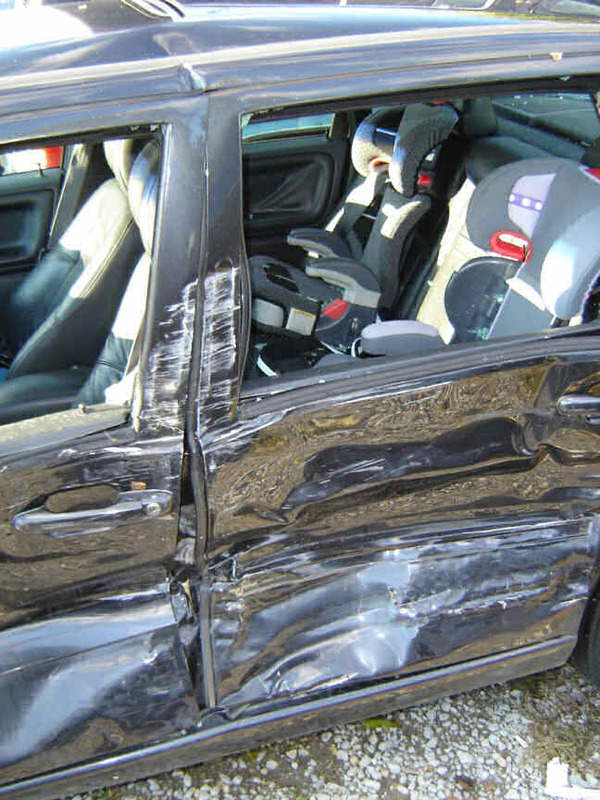 Nick – the car insurance should cover car seats. If they give you any grief just mention attorneys. Geico replaced mine without any hassles. Volvos are usually very safe. Glad to see you are fine!